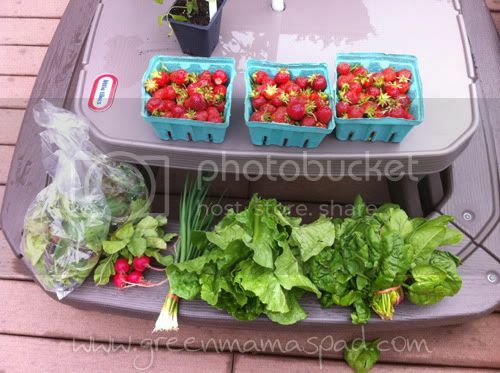 It was a long, long winter especially without no fruits and veggies from our local, organic CSA. It runs from June through November and so my sister-in-law and I have been counting down the days till it started up again. We split our farm share and take turns picking up our produce every weekend. We decided that I would go the first week and then she would go the following week and so on. 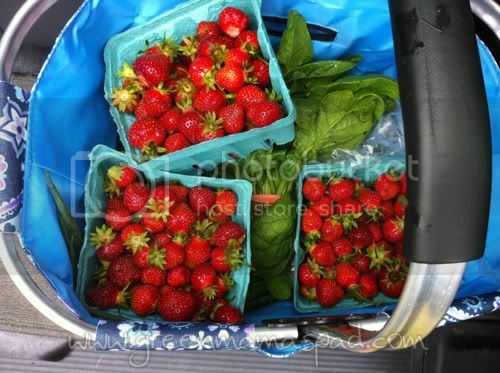 So two Saturdays ago I headed out, sans kids, with my basket in tow ready to enjoy the peace of the farm. As I started walking across the fields I felt so happy to be back. Rows and rows of growing crops greeted me and off in the distance I could see fellow shareholders picking fresh strawberries. I stopped in at the stand to check in and find out what I could pick. 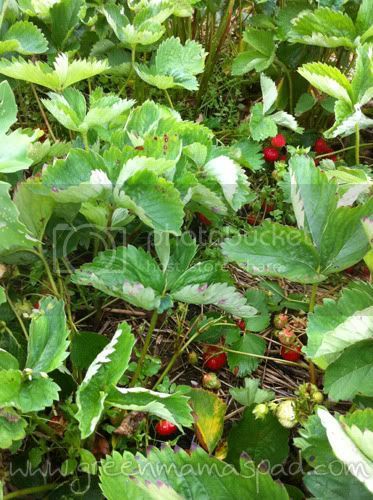 Each shareholder was allowed to pick 3 quarts of strawberries on this first week. I love being able to pick fruits and veggies fresh myself but let me tell you, picking 3 quarts of strawberries on your own takes a long time. I have no idea how long I was out in the fields, but it was a good chunk of time. But just look at these beautiful strawberries! These are by far, hands down, the most delicious strawberries I have ever eaten. It is well worth the time it takes to pick them. We were able to enjoy these for a week and since they are so fresh, they never spoiled. After finishing my picking I headed back to the stand to get the rest of my goodies. I snapped a picture of the greenhouses in the distance which house rows upon rows of tomatoes.I can't wait for those to be ready to harvest! Inside I was also able to get some salad mix, a huge bunch of spinach, a head of lettuce, radishes and scallions. When I got home I laid it all to admire how pretty it all was. They were also selling some of their organic plants really cheap. 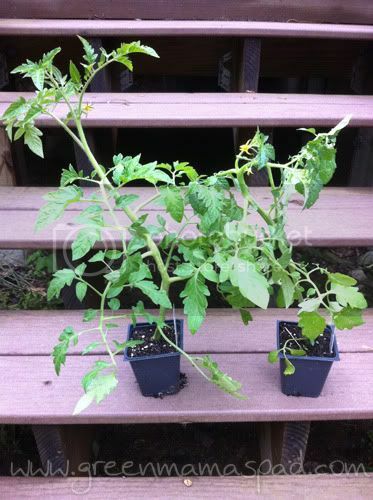 So I was able to pick up an heirloom tomato plant and a cherry tomato plant for just $2.00 a piece. If I had any confidence in my gardening skills I would have also grabbed the $1.00 zucchini and squash plants, but I figured this year I will stick with tomatoes. This weekend I will be returning to the farm for my next pickup and I think they might have some broccoli for us. I'll continue to share my CSA goodies here throughout the year. If you haven't looked into joining a CSA I highly recommend researching to see if there are any in your area. 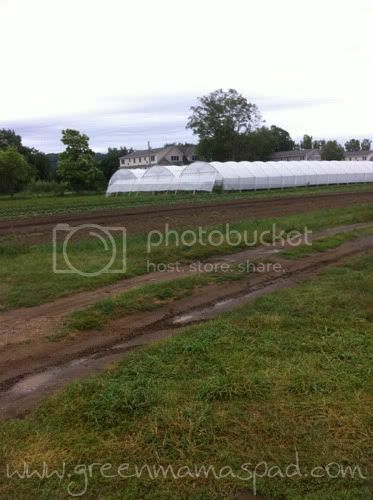 Be sure to check out my post on things to know about community supported agriculture. Nothing tastes better than locally grown produce! Ooh yum! 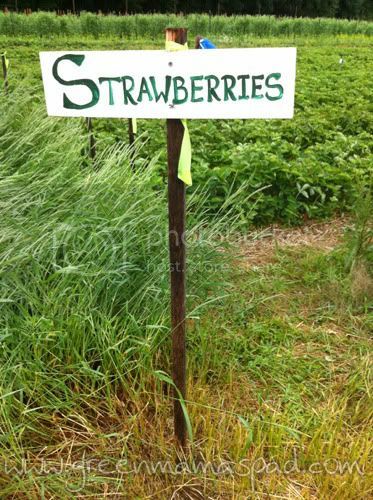 Some of the farms around here do the Upick for blueberries/strawberries or whatever is in season. One farm in particular has an entire garden full of stuff you can pick. They are a bit on the expensive side though, but at least it's homegrown and not traveling half way across the country to come to me! This is AWESOME. 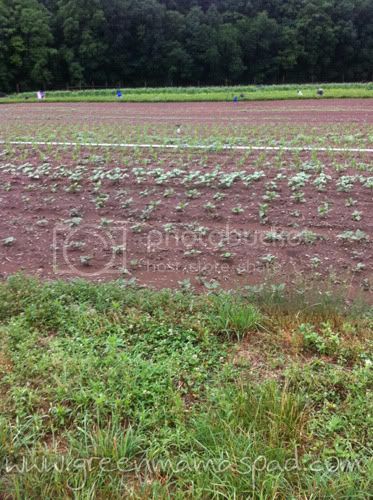 We found a place to go and pick veggies this year and have thoroughly enjoyed it both times we went! I would love to find a place that has fruit!! I agree - there is nothing better than fresh picked fruits and veggies! Oh, I wish I was close to a CSA! fresh strawberries are the best!!! I wish we could get our act together and join a CSA. I found many inMaryland but haven't looked in Delaware yet. Melinda and I have mentioned doing a CSA in the past but decided to do a garden instead. Your stuff looks really good, I can't wait until our garden is ready to be picked.